Lila är inte en färg jag använder alltför ofta, men jag blev rätt nöjd med resultatet då jag utmanade mig själv att ha det som min huvudfärg. 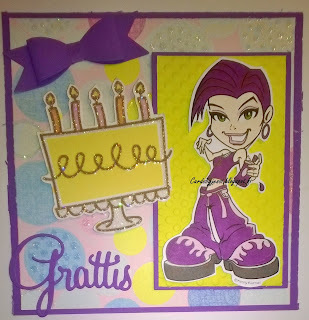 Jag deltar i följande utmaningar: Allsorts (Purple Passion), Simon Says Wednesday (Happy Birthday), Creative Card Crew (Use a die cut), Cute Card Thursday (Something shiny: the cake and DP has plenty of shine), Aud Sentiments (Birthday sentiment), Crafty Calendar (ATG) och Club KennyK på Facebook. Upeat värit ja upeaa kimallusta! Lovely card with a super fun image and great background. Thank you for joining our Purple Passion challenge this week at Allsorts. 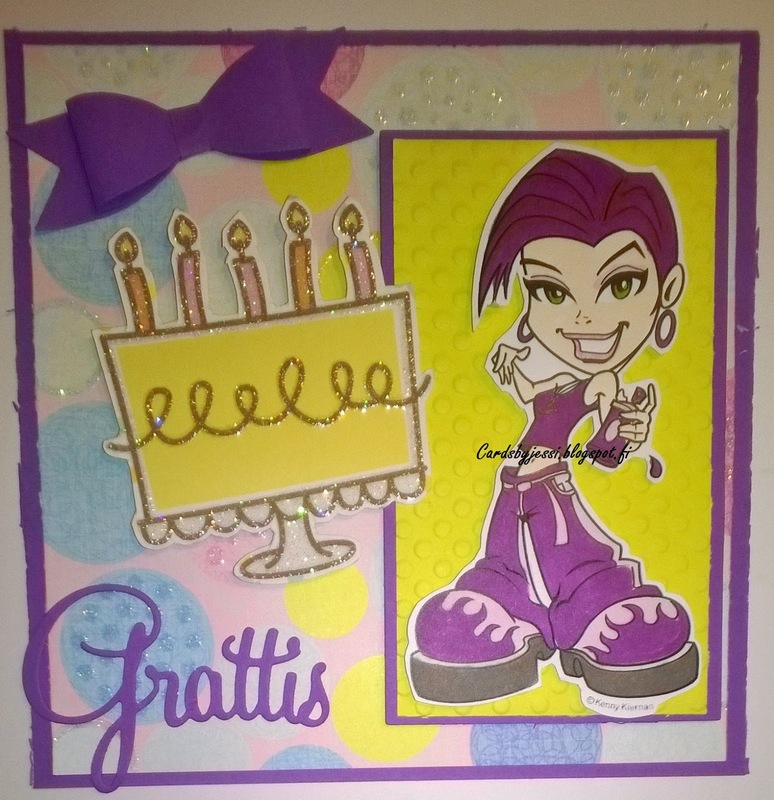 What a great teen card, love the colors and layout. Thanks for sharing with us at Aud Sentiments. such a fun card!!! thank you for playing along with us at simon says stamp wednesday challenge! Amalian joulukalenteri, luukku 24: Askarteluntäyteistä joulunaikaa!